At Complete Care we understand the importance of providing continuity of care and this lies at the heart of our company with over 90% of the clients seeing the same Carers consistently. All our Carers are dedicated, compassionate, empathetic, and discreet and have a good work ethic. The Carers we provide are well trained and many are highly skilled in specialist areas such as Dementia Care, Motor Neurone disease, and Parkinson’s disease. Over 90% have completed or are undergoing the IOM governments 2 tier Dementia programme. 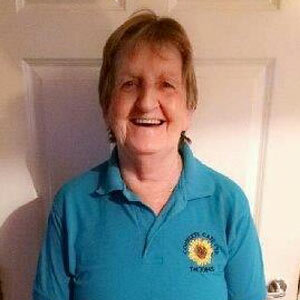 “It’s a position that can be so rewarding,” says Frances who has worked in the care industry for nearly 30 years and has been with Complete Care since its formation in 2007. Now nearing retirement age herself, Frances currently lives in with a lady client recovering at home in the Isle of Man, after spending time in hospital following a fall. The client is delighted to be back in a familiar environment and has benefitted enormously from having Frances by her side round-the-clock, providing reassurance and day-to-day domestic support.